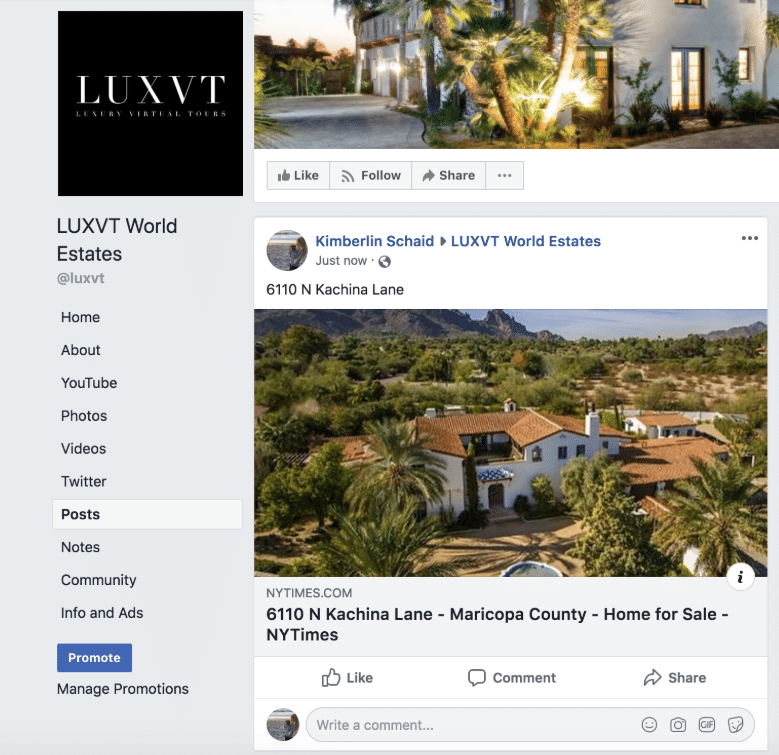 Now that you have your LUXVT ads, make sure you’re getting the most out of them. 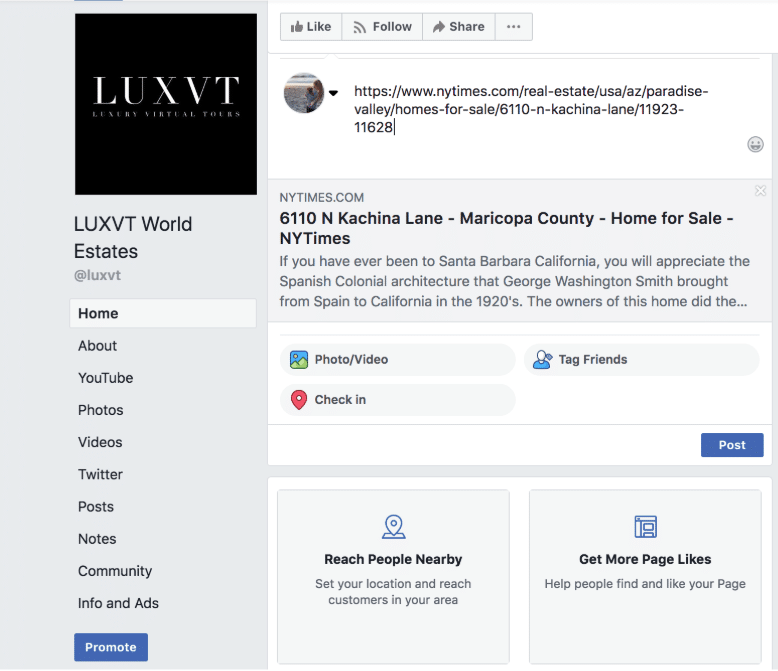 By sharing your listing’s ads in the New York Times, Wall Street Journal, etc. on your social media accounts, you’ll show future clients that you offer an elite marketing program with prestige advertising. The process is quick and simple. First, copy the URL of the ad you’d like to post on your Facebook account. Next, open your Facebook site, and paste the URL into the ‘create post’ section at the top of your profile page. Once you paste the URL into the post section, it will populate the ad below. Once this preview appears you can delete the URL text from the post section and replace it with whatever title or text you’d like. 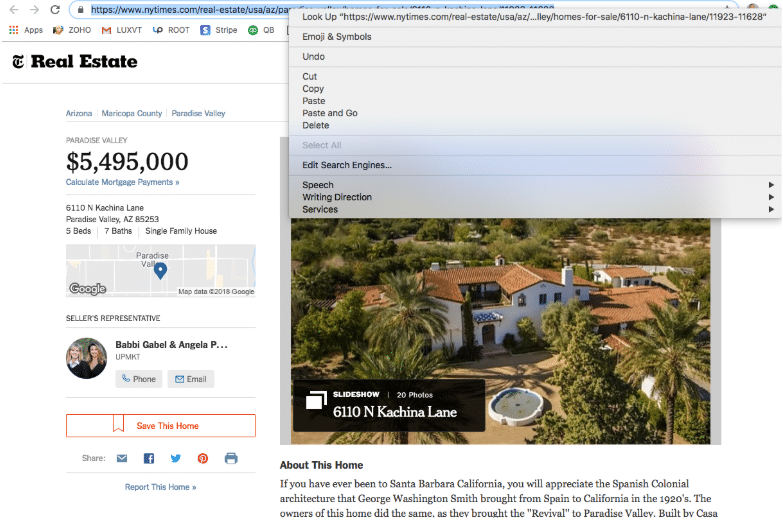 For this example, the URL was replaced with the address, ‘6110 N Kachina Lane’. Finally, just hit post and the final product should look like this screenshot below. 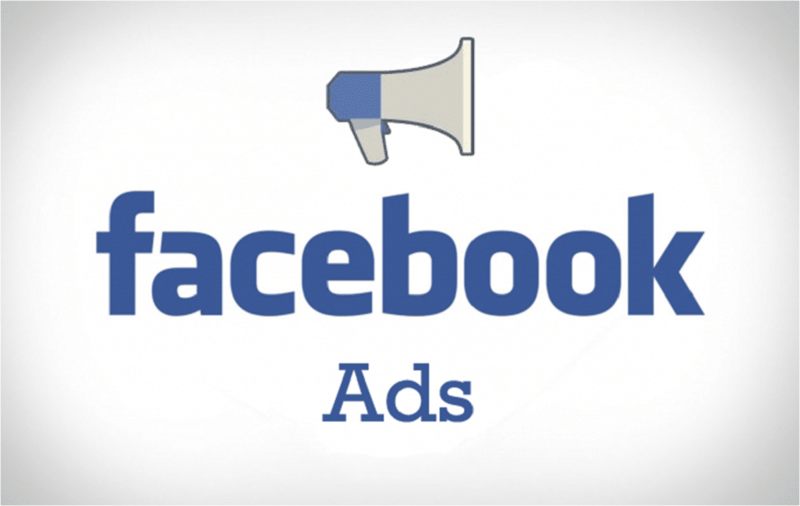 Facebook users will be able to easily share your post or tag their friends if the ad link is of interest to them.